The Happy Ending Lyric Players is a group of talented individuals that love the theatre and the arts. These actors, singers, musicians, designers, dancers, decorators, directors and artists from the church and the community work on one large production each year for their annual performance. They also work on smaller events alone or with other arts groups throughout the year. The cast for each large production is chosen through auditions so if you act, sing or play an instrument and would like to join HELP let us know. Kelly can tell you how to get involved and when the next auditions will be held. They rehearse at the church at various times during the week, Saturdays & Sundays in Spahr Center. We also need creative people to build flats, sets, props, or design and create costumes. Still a Great Idea 43 Years Later! 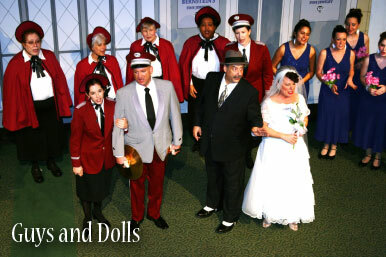 In the fall of 1975 James Shrader, then Music Director and tenor soloist of the First Baptist Church of Greater Cleveland’s Chancel Choir, decided to produce a dinner theater package at the church that included performances of The Fantasticks featuring church members and close friends with excellent musical and theatrical talent. 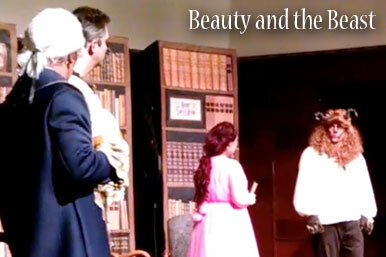 Hugely successful, the production was invited to perform at the Mentor Inn and the Westshore Unitarian Church. Very soon after the close of The Fantasticks the cast got together and decided to form an official theater group to be separate from, but housed within, the First Baptist Church. The spring 1976 production of You’re a Good Man, Charlie Brown was the first production for the newly formed Happy Ending Lyric Players and was again a huge success. The acronym of the Happy Ending Lyric Players is HELP, selected because in 1976 the newly formed theater group needed all the “help” it could get, particularly financially. The founders knew that the budget for The Fantasticks of only $24.75 would never be adequate for more ambitious productions. So solicitations for patrons and sponsors along with opportunities for advertisements in the programs were initiated with great success. In its 43 year history, the HELP productions have not cost First Baptist a dime while bringing hundreds of theater patrons to the Heights area each year. Of course use of the facility rent free was a significant contributor to HELP’s success. HELP has received many acknowledgments over the years. 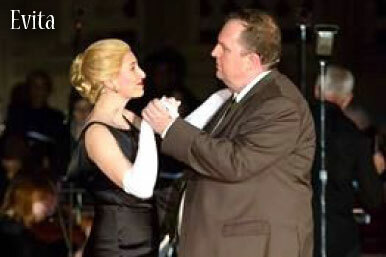 It’s production of the operetta Die Freischotz (The Poacher) won an award from Cleveland Magazine early in HELP’s history. 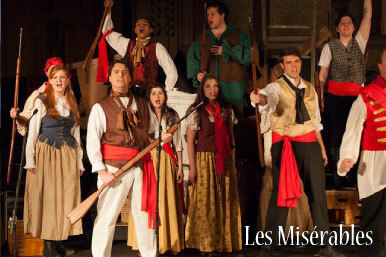 The 2014 production of Les Miserables received resolutions from the city councils of Shaker Heights and Warrensville Heights, recognizing the contributions that HELP provides to citizens of surrounding communities. Early in its infancy HELP began to produce a wide range of music and theatre including grand opera, operetta, Broadway, drama, and comedy. An annual HELP Music and Fine Arts Festival were initiated in 1978 and in addition to its theater production, it included a juried Visual Arts Show and a Choral Concert. An annual Costumed Madrigal Feast by Candlelight was added to the theater repertoire soon after which featured a delicious dinner, medieval music, and a king and his queen (usually the pastor of First Baptist and his wife), and a royal court with jester, jugglers, etc. Musical accompaniment to its annual musical productions has expanded from a simple piano to 20 plus piece orchestras, greatly enriching the theatrical experience. Two HELP productions were presented in the beautiful Gothic sanctuary of the church. The visual arts are now on display year-round in the church’s Fairmount Gallery, and choral concerts are scheduled several times a year. 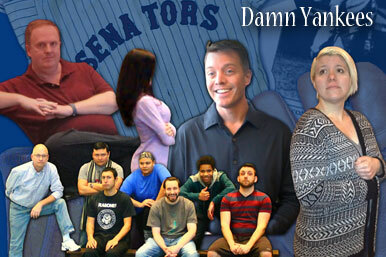 But HELP productions continue each spring. In April 2018 HELP will present The Hunchback of Notre Dame, a new musical based on both Victor Hugo’s book and Walt Disney’s 1996 movie of the same name. The orchestral accompaniment will be provided by the Chagrin Studio Orchestra, a 32 piece ensemble under the direction of Steve Eva that regularly performs at the Chagrin Valley Little Theatre and the Hermit Club in downtown Cleveland. Not all shows that have been produced by the Happy Ending Lyric Players actually have a happy ending. Picture Tevye at the end of Fiddler on the Roof being driven with his family from his homeland in Anatevka, Russia, or the students in Les Miserables being mowed down by French soldiers. However, there are examples of love, kindness, hope, and redemption in virtually every show ever written, making all of them eligible under the auspices of The Happy Ending Lyric Players! Check the calendar to verify dates and times of auditions, rehearsals, and productions. The Happy Ending Lyric Players 2018 musical production of the Hunchback of Notre Dame was one of our most memorable, to say the least. A big part of the success of this Mason Stewart directed show was the set design and decorations that made it possible to make the audience believe they were actually watching the action of Victor Hugo’s historic novel in the Notre Dame Cathedral of Paris itself The ramparts of the church, the bell tower, and the street scenes outside were realistic and believable. In part because of the set design. Now you can have a souvenir of that great show, one that could also serve as a protector of your home or garden. Yes, we’re talking replicas of those great gargoyles that were part of every great cathedral, even today. HELP has four weather-resistant, resin gargoyles that cost over $175 each which will never be required as set pieces in any future show. 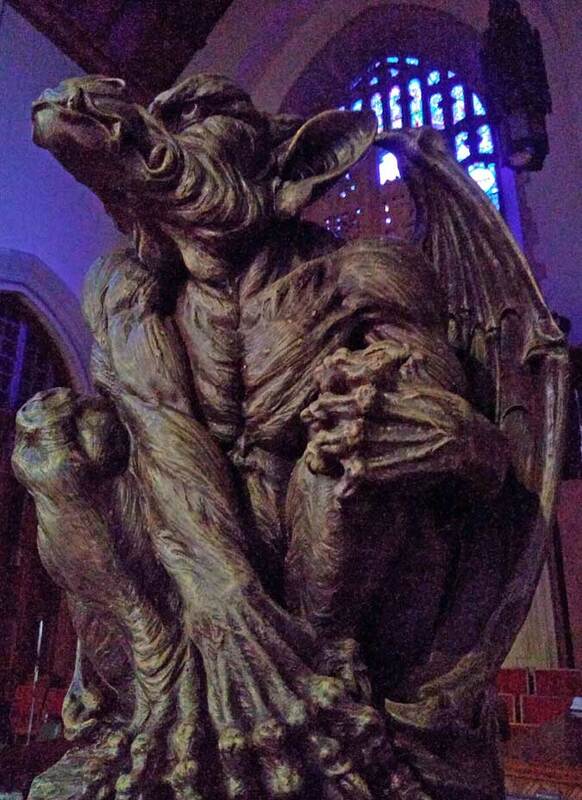 So, for only $60 each, funds which will help support future HELP productions, you can have one of these delightful 2 1/2 to 3 feet high gargoyles watching over your spring plantings, or perched on your front steps keeping away evil spirits. If you want more information about H.E.L.P or would like to join, drop us an email using the form below!